Fill the frame. It’s great advice for new photographers as it’s easy to stand so far back from the subject that the shot loses impact. Move in and new patterns, different textures, start to appear. 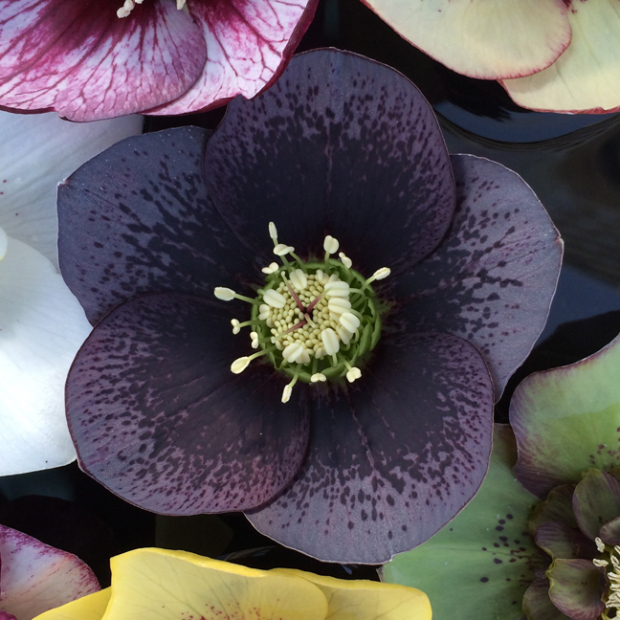 Perhaps because I’m a little shortsighted, filling the frame is my natural style, so when I saw the subject of Nancy Merrill’s latest challenge, I couldn’t resist joining in with these macro shots of prize-winning fruit at a recent flower show. With so many goodies beautifully displayed, it’s strange that the gooseberries fascinated me most. I don’t like the taste (even in a crumble with Enid Blyton’s ‘lashings of custard’) and had never noticed anything other than the basic, average sized green ones. And what was Dan’s mistake? I can only imagine, but it’s a great name for a blushing gooseberry! Regular reader may have spotted that I slipped this last picture into a recent post. I knew at the time I was going to regret it as its natural home is here – it somehow completes the set. I don’t imagine I’ll often repost images but this time, it just seems right. 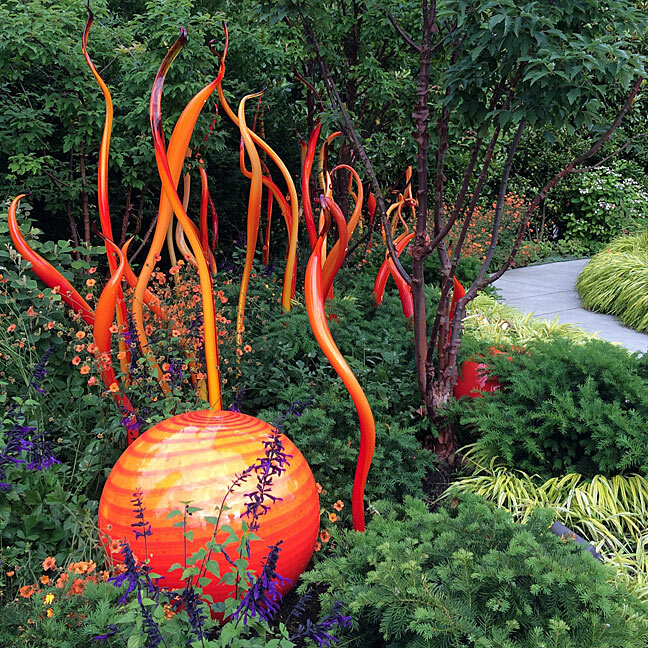 Please check out the other submissions on Nancy’s blog and join in if you’ve got something to share. My mother planted a gooseberry bush at the house I grew up in, and she always lamented that we never let the berries ripen so she could make a pie or crumble. We would eat them while they were still green and sour. But the few times we let some ripen to a deep purple, they were so much better tasting. Funny how children are. 🙂 Lovely images. Thanks for joining the challenge! I remember when we were young my Dad trying to hold the line and tell us we shouldn’t dig up potatoes before they were ready. When he finally gave in, after a lot of pestering, we squealed with joy as each one appeared, even though some of them were not much bigger than peas. Kids! They’ve always been tart when I’ve tasted them. I’ve heard they sweeten when fully ripe, but I imagine sweet may be relative! You’ve got to be nippy with fruit if you enjoy having birds in your garden! I imagine they’ll eat them before they’re ripe – is that the case or are they more selective? The birds leave them until they’re completely soft and ripe… almost too ripe! Nothing wrong with re-posting photos, especially if they are good ones. Personally I adore gooseberries, but Him Indoors isn’t a fan. 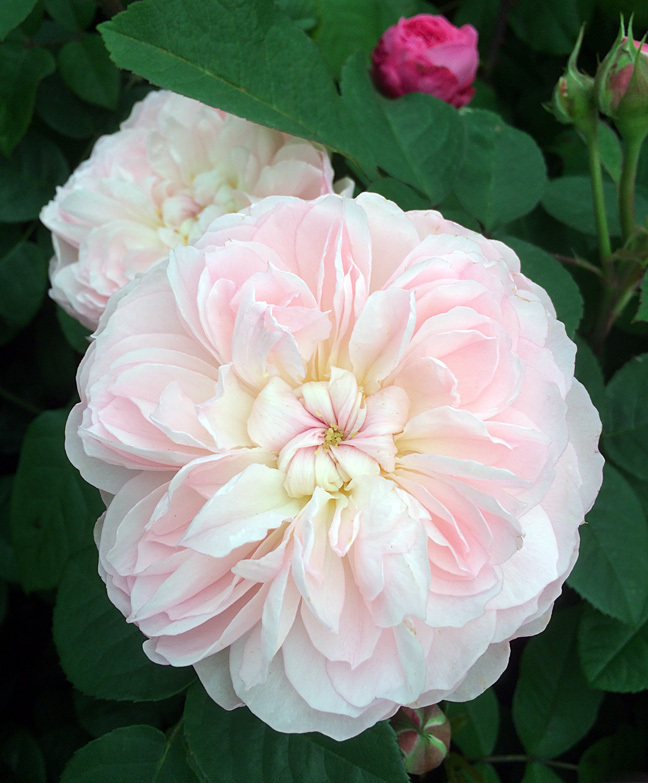 I love that someone named a cultivar ‘Dan’s Mistake’! Me too! 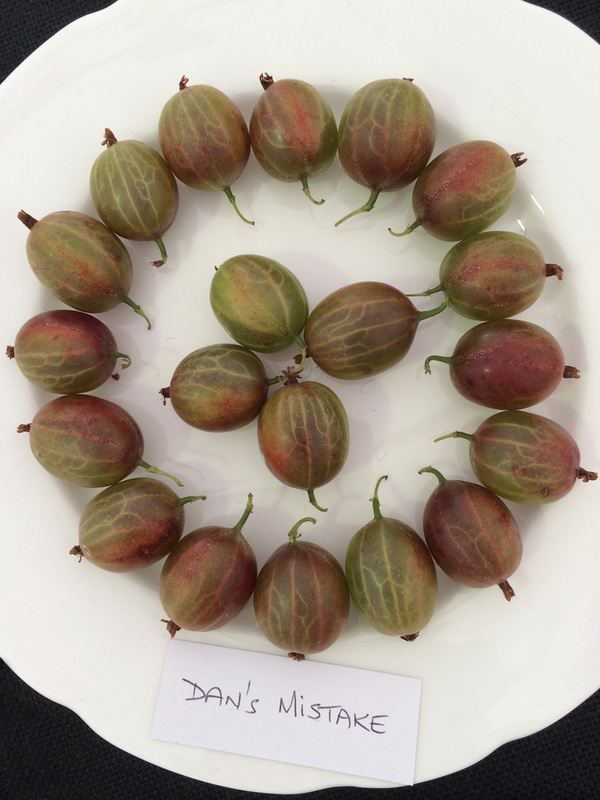 My Him Indoors is with me – gooseberries (and rhubarb) are on his proscribed list. I don’t mind rhubarb but for most fruit desserts it’s hard to beat plump, ripe cherries! love the photos’ color and pattern and texture. 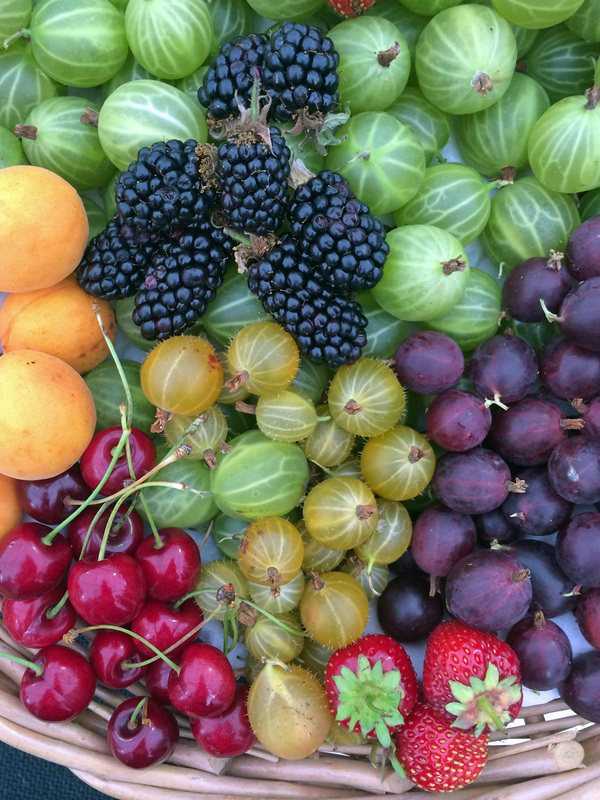 I think gooseberries take amazing photos – they always look so tempting! I agree that they are not always so edible although I did make a gooseberry jelly this year that all the gooseberry haters in my family loved. Your photos are fruit perfection!! It’s weird that they still look tempting even when you know you don’t like them. Now, if I was going to eat gooseberries, your jelly sounds like the way to go! 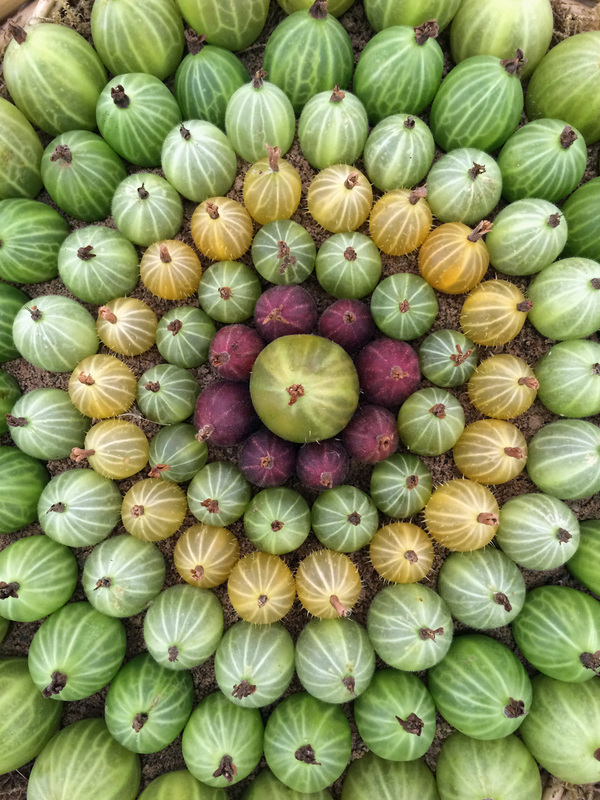 Wow, love the gooseberries mandala.